promote excellence in higher education at NHS. 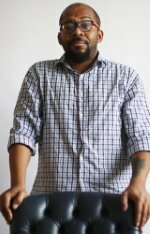 If you have any information or event that needs to be featured on this site, please contact Dana Jefferson, NAFA Executive Director. 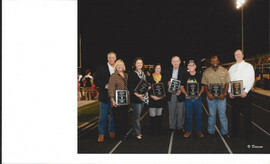 Alumni and Friends are the backbone of the Neville Nation! The Neville Alumni and Friends Association support scholarships for our students, beautification projects for our school and outreach programs with many civic and community organizations. We need you to make all of this happen. The cost to join is minimal with a diversity of membership options available – student, individual, couple, lifetime, etc. 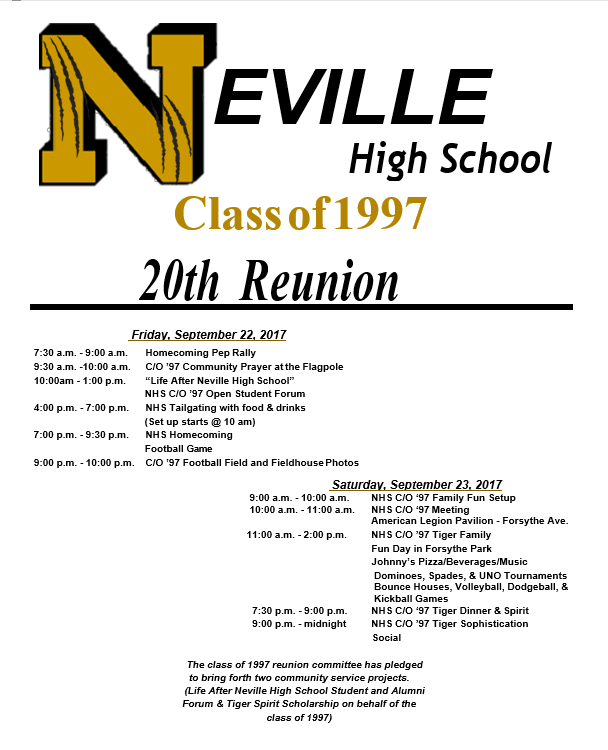 Come join us in keeping Neville High School strong! 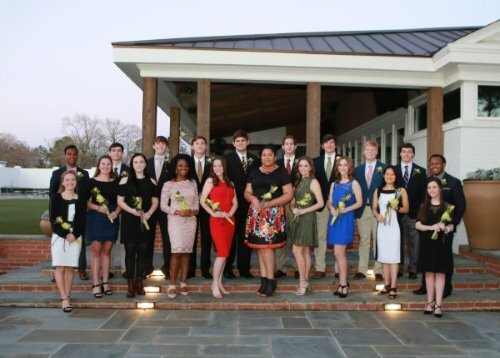 Neville Alumni and Friends Association (NAFA) happenings and scholarships are conducted through generous contributions from our local community, friends, and family. 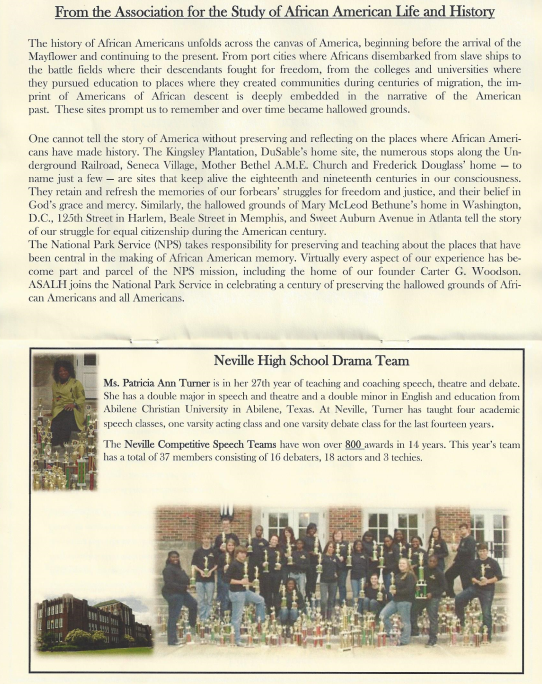 In order to keep our tradition of serving Neville High School and it's alumni, please consider donating through our Stepping Stone Program or through our General Fund Donations. 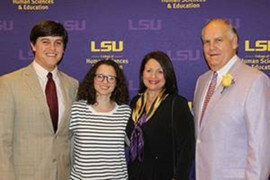 Congratulations to Neville Tiger Alumna Margaret Ann Zentner on being cast as the cover for the lead female role in LSU Opera's Spring Production of Mozart’s "The Marriage of Figaro"! Performance dates are March 30, 31 & April 1, 2. 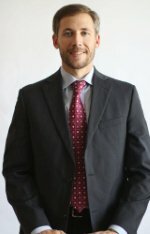 Jimmy Bryant, Jr. NHS Class of 2001, Jeff Laudenheimer, NHS Class of 1998 and Joe King Montgomery, NHS Class of 2002 were listed in the DeltaStyle Business publication of the News Star as 3 of the “Top Twenty under 40” business men of the year!! We are proud of you! 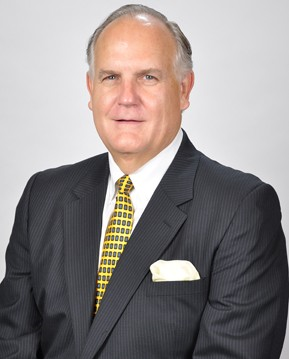 Charles “Wally” McMakin ’72 has been appointed by Governor John Bel Edwards to serve on the Louisiana Highway Safety Commission. The Louisiana Highway Safety Commission is responsible for developing and administering the state's traffic safety program through collaboration with the federal government, as well as, state and local agencies. 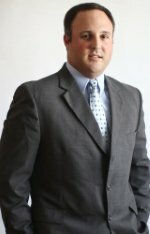 Wally is a partner at Altus Wealth Management focusing on retirement, financial planning and investment advice in Baton Rouge, Louisiana.